The pool will be closed on 30th (Saturday) and 31st (Sunday) of December. Here’s wishing all a happy and prosperous New Year. The School has installed a metal turnstile at the gate beside Tan Kah Kee Station and has since installed at Gate 3 as well. Please note that the metal gate at Gate 3 has been activated since 6 September 2017, and you will need the new Hwa Chong Alumni Association (HCAA) Cepas Card to enter and exit the School through Gate 3. During the grace period (from 6 September 2017 – 21 September 2017), IC can still be used to enter the School through Gate 3. During the grace period (from 6 September 2017 – 21 September 2017), IC can still be used to enter the School Gate through Gate 3. Please press “EXIT” button when leaving the School through the gate. 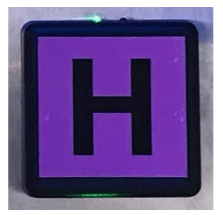 HCAA has begun assisting Life Members, Associate Members and Alumni to make the new HCAA Cepas Card. 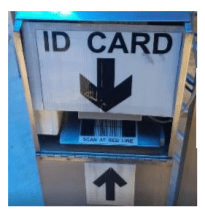 The card processing fee is $10. 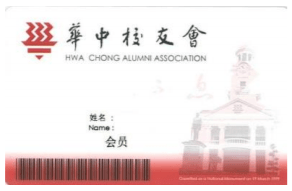 The new HCAA constitution states that all Hwa Chong alumni can register as an Ordinary Member with HCAA. Kindly contact HCAA for any clarifications or if you require a new HCAA Card to be issued. The Hwa Chong Alumni Association Youth Chapter is pleased to invite you to a roundtable with our very own Hwa Chong alumnus – Mr Chee Hong Tat, Senior Minister of State, Ministry of Communications & Information and Ministry of Health. Themed “Realising our Singapore Dream”, the roundtable aims to provide participants with a platform to deliberate on how young Singaporeans can collectively play a part in realising our Singapore Dream. Registration closes on 22 July 2017. Hwa Chong Alumni Association will be holding its Annual General Meeting (AGM) on 18th June 2017. It will be held at 10.30am at the Hwa Chong Cultural Centre (HCCC) Exhibition Hall. The Secretariat Office has sent AGM notice to all members via mail. If you have yet receive it, kindly contact us at 64664180. Established in 1998, Hwa Chong Alumni Association’s Tai Chi Group currently has about 150 students. We are starting a new class in July 2017. All alumni are welcome to join us. Hwa Chong Alumni Association wishes to congratulate HCI Track and Field Team who raced to a clean sweep of titles in the boys’ A, B and C Divisions and also secured the overall A girls’ title at the Schools National Track and Field Championship.